This is the face of a little girl who was born behind bars in detention on Nauru. The only life she's known are guards shouting, steel fences, and unending detention on a tiny island the size of Melbourne's airport. Where she's called by a number, not even his name. Home Affairs Minister Peter Dutton said he had "every child out of detention"1 but after 5 long years, there are still nearly 30 children detained offshore on Nauru. In the last few weeks nearly every peak medical body including the Australian Medical Association, nearly 6000 doctors, nurses and healthcare workers and international medical NGO Médecins Sans Frontières have called for the government to get #KidsOffNauru. So while our Government is trying to hide the 85 children remaining on Nauru – these photos are our chance to show the Australian public the truth. If enough of us speak out now, we can confront politicians with the faces and the stories of the children imprisoned on Nauru, and force them to listen to doctors' orders. Will you sign the petition calling on Scott Morrison and Bill Shorten to evacuate these children and their families to Australia before Universal Children's Day on November 20? What about the US deal to resettle offshore refugees? 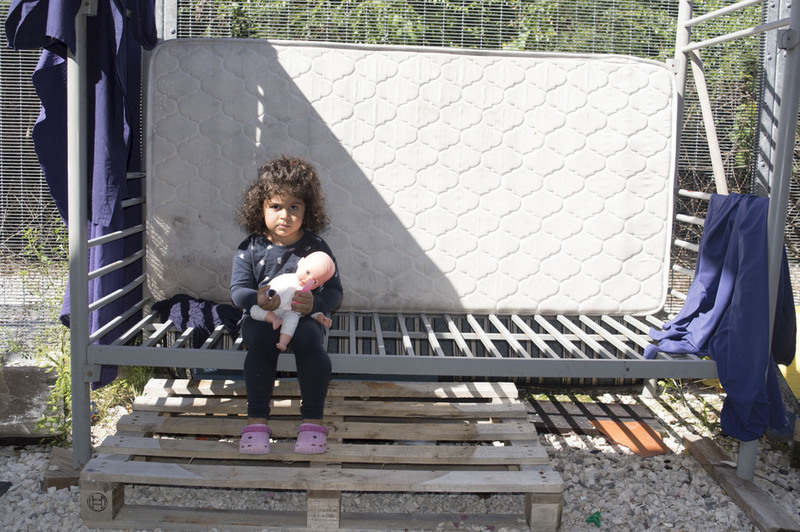 Despite being assessed as a refugee – this little boy is still waiting. How long can we do this to him? But 85 kids remain on Nauru, some never knowing a day of freedom in their lives. We cannot let this continue, can you tell our politicians to get #KidsOffNauru? 'Manus Island detention: Adam Bandt calls Immigration Minister Peter Dutton 'a terrorist', ABC, 4 November 2017. 'Nauru hunger strike: 12-year-old boy at imminent risk of dying', The Guardian, 16 August 2018. 'In pain and in limbo: the Nauru refugee denied an interview for US resettlement', The Guardian, 25 May 2018. 'Federal Government to launch crackdown on asylum seekers', The Age, 26 August 2017. We call on you to evacuate the nearly 30 children and their families still detained on Nauru to Australia before Universal Children's Day on November 20, 2018. These kids have had 5 years of indefinite detention on a tiny Pacific island, in deteriorating conditions tantamount to child abuse. Please, get them off Nauru. Do you identify as being a Person of Colour or coming from a Non-European background?